Apathy. Hipocrisy. There are real demons in the society. Hustisya, one of the five feature films under the Director’s Showcase of Cinemalaya this year, showcased the acting prowess of the Philippine superstar, Nora Aunor, as helmed by acclaimed director, Joel Lamangan. She stars as Biring, an efficient member in a human trafficking syndicate controlled by some powerful men in the society. A middle-aged woman who revolves her life with her work in the syndicate, her best friend and her family, Biring is a one-of-a-kind character (thanks, in part to Ricky Lee’s great writing). Despite having a key role in their human trafficking operations, she seems to care about the people they victimize. Shown as religious and a devout Catholic, she seems apologetic about her own sins. However, in her line of work, she sees and hears no evil. Conscience visits her once in a while, but the system where she and everyone’s a part of keeps on dictating her what she has to do. In the end, what will really matter to her? Her family? Her money? The system? Or her soul? 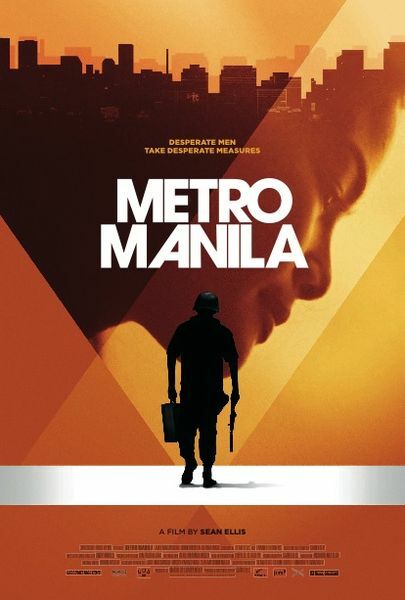 The movie is a clear cut portrayal of the evils of Manila. While a very few lavish in its riches, a whole lot wallow in the mud. Life in the city is compared to how a frog preys on a mosquito. The former must wait patiently while deceiving the latter it is a part of the surrounding. When the right moment comes, the frog eats the mosquito. This is similar to life in the capital: be victimized or be the victimizer. Such analogy represents the kind of world many of us live in. Joel Lamangan is able to capture Aunor at her sometimes antsy, sometimes cool and collected demeanor for her character. Biring’s hard to portray as she jumps over the thin line of what is good or bad. Lamangan makes sure Aunor’s able to show the ambiguity that she is. Moreover, I like how he stages Aunor’s character with what others call her money shots in the film. Thankfully, he does not only take good care of his lead star. Hustisya’s supporting cast is also made good, especially Rosanna Roces (whose portrayal of Biring’s best friend and one of the heads of the syndicate brought about amusement and wonder) and Rocco Nacino (who’s a revelation in the film as the soulless lawyer/member of the syndicate). I am not a fan of some initial scenes where blurred shots of Nora and Manila are being screened. Moreover, a little more care could have been done not only in the camerawork, but some uneven lines in the screenplay. The pacing is a bit inconsistent, but the duration of the film surely made up for it. Hustisya is one of those Filipino films that are really heavy to watch as it tackles real-life atrocities that real people do. This makes it hard for some people to even see. But I doubt it was filmed for everyone. What Hustisya and other movies of its kind need is the appropriate audience to look at what it tries to portray, listen to what it has to say and act upon what should be done. After watching the film, I realized that real justice cannot be served here in this world. 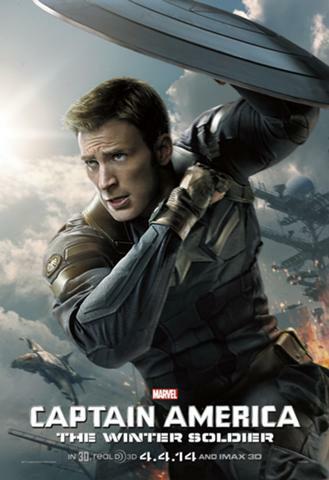 Captain America is definitely one of the best superhero movie sequels out there. Smartly written, action-packed and well-directed, The Winter Soldier proves once again Marvel’s ability to make great sequels out of their superhero movies. I honestly didn’t know what the movie was about before watching yet I had high hopes for it because I loved the first Captain America movie. I was pleasantly surprised because The Winter Soldier exceeded my expectations. Great, great action scenes. No other superhero movie has impressed me this much in terms of hand-to-hand combat. It also succeeded in delivering scenes with an array of gadgets, weapons and advanced vehicles. These scenes comprise a lot of time and they were actually fun to watch because they were clearly captured, thanks to great editing and camerawork. Major requirements for superhero movies are stunningly good visual effects and pretty excellent sound effects. Captain America: The Winter Soldier has both. Yet, what made this movie really stand out from the other superhero movies is its minimal use of CGI effects. The audience would get to appreciate all the combat scenes where incredible stunts were made and awesome fight choreography was played out. What stood out were scenes of great, great action. Smart script. The story of the Winter Soldier is a solid one. The audiences may not be familiar with the plot, but it’ll eventually unfold on their eyes as the movie progresses. It’s great how the script tied in Captain America’s real relation to the so-called Winter Soldier character to the remarkable threat the terrorist group called HYDRA is posing to America’s pseudo-homeland security agency called SHIELD. The former subplot played out just right and didn’t appear too shallow or cheesy at all. The HYDRA subplot actually covers the first subplot but the focus there is how the said terrorist organization has come to infiltrate SHIELD, thereby compromising it and its operations. Good performances. Every lead and supporting actor in the movie delivered well during the whole movie feature. Chris Evans proves once again why he’s a good fit to be this generation’s Captain America. He has not only given what he’s asked to do as both the patriotic superhero captain and the good, old friend of his current nemesis, but he’s also able to show the development of his character woth his solid performance. Also delivering exciting performances are Sebastian Stan (as the Winter Soldier), Scarlett Johansson (as Black Widow), and Anthony Mackie (as Falcon). Not to forget Samuel L. Jackson (as Nick Fury) and Robert Redford (as Alexander Pierce) who are as great as ever. Good editing and directing. A bit predictable at times, this movie is nevertheless as suspenseful and exciting as it could get. The great story-telling Anthony and Joe Russo, the movie’s directors, did have made the audience care about what’s really happening in the story. And this made every scene as exciting as the other. As I have said, I am extremely satisfied with Captain America: The Winter Soldier. And this made me anticipate the next Marvel movies that are coming out soon. Here’s hoping they’re as good, if not better, than this Captain America movie. 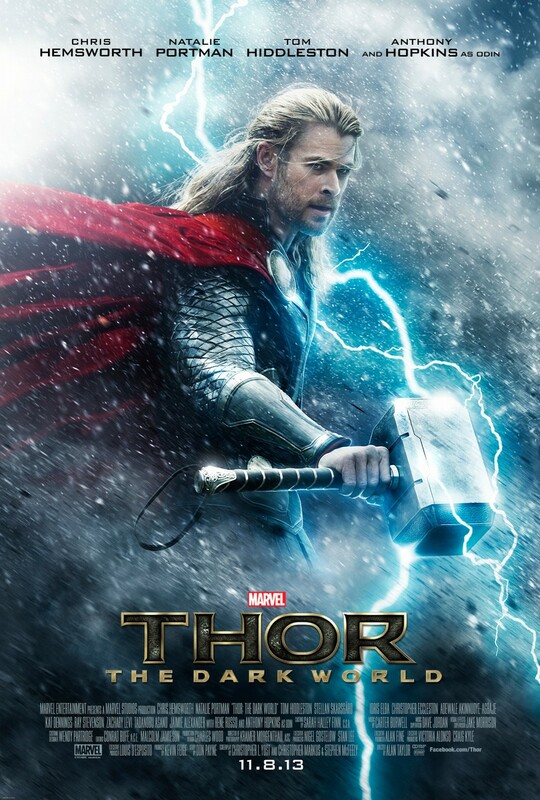 Thor: The Dark World is much like the first Thor movie: it is spectacular and amazing. The visual effects are well-polished, the acting is passable, the dialogues are funny and smart, the action sequences are good. However, being too much alike to the first movie and the rest of the superhero movies is where the problem is. Nothing seems new. I fear the time when the audiences will grow weary of these superhero movies. The Avengers was more than amazing and spectacular; it was great. The first Thor and Captain America movies are really good. They are far different from each other in terms of tone and theme. Spider-Man movies define the funny, sweet, romantic superhero movie. Christopher Nolan’s Batman trilogy broke ground with its dark theme and hyperrealism. Thor 2 might just be the start of superhero movie repeating itself. I may not be a fan of the movie but I won’t deprive of telling you, dear readers, its good merits. The amazing visualization of various planetary bodies in the movie would make one wonder about the universe. It’s got great special effects, too, which is really a must for these kinds of movies. The main actors (Chris Hemsworth, Natalie Portman, Tom Hiddleston) and even the rest of the cast seem like enjoying themselves while playing their characters. They’ve got good chemistry and this really shows in their scenes. The script is full of witty dialogues yet it’s a bit contrived (much like any other superhero movie actually). Its funny lines make the movie a bit fun to watch. However, nothing really excited me that much. I hate to say that I got bored while watching but I didn’t get that great feeling that I feel every time I watch a superhero movie. 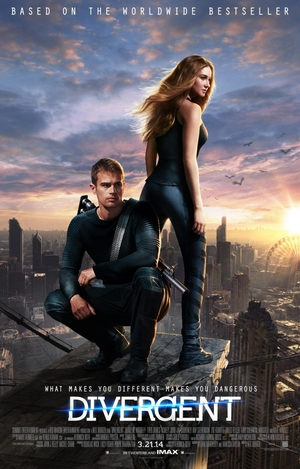 I didn’t have that high of an expectation in this movie but alas, I still got disappointed. The villains in the story made me curious but that’s about it. After searching for their back stories in Marvel Encyclopedia, I already stopped wondering about them. By the way, I hope Captain America 2 (the next Marvel superhero movie) will deliver what Thor 2 failed to give. That was the expression I used after watching On the Job, the latest Filipino film to grace the silver screen. I have never watched a Filipino film that did not only make my heart race but also made me think while watching and right after watching. I might have guessed some of the plot points towards the end even before they happened, but when they did happen in the movie, I was still surprised thanks to the brilliant execution of those scenes. That’s how great the hands that made this movie were. Top-notch directing and editing, very credible acting, excellent production design, great musical score, this movie seemed to have it all. To tell you the truth, I already had high expectations before watching because of raving reviews from critics and good word-of-mouth feedback from the people who have already watched it. It was that high that I prepared myself to be disappointed. But, no. The movie was worth the hype. On the Job delivered in a great way that acclaimed movies of many years past were not able to achieve. 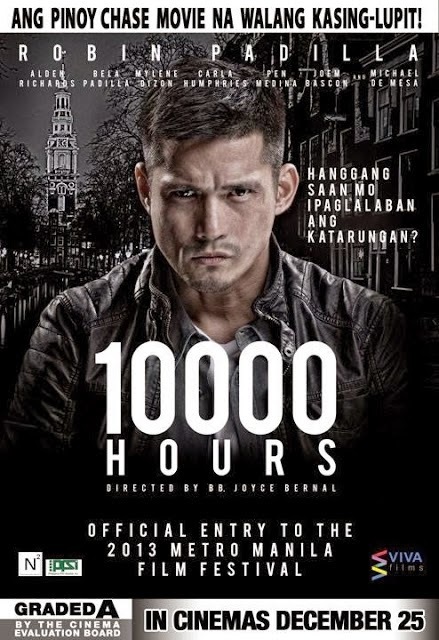 The story surrounds 4 major characters: Francis Coronel, Jr. (portrayed by Piolo Pascual), an NBI agent whose lawmaker father-in-law (Michael de Mesa) supports an evil general (Leo Martinez) who’s planning to run for politics; SPO1 Joaquin Acosta (Joey Marquez), a capable policeman who helps Francis in his case about the general; Tatang (Joel Torre), a prisoner who is hired by cohorts of the evil general to assassinate people linking him to illegal activities, and Daniel (Gerald Anderson), the brutal yet naïve apprentice of Tatang who joins him in his assassination jobs. It is scary to think that these things really happen in the country. Criminals get to run and be elected in the government. Prisoners get to go out of the jail and kill. Dirty policemen get to have what they want while the clean ones die young. But when you think about it, these scenarios really seem familiar. Just take into consideration the latest issue of the pork barrel scam, then you’d think that the movie’s plot doesn’t seem so unlikely. This current issue has unmasked politicians that were touted as the good ones before. It has also reminded the people that criminal masterminds tend to get special treatment and were even thought to be state witnesses that could escape punishment. Also, witnesses were barraged with different issues to taint their reputation. I don’t want to sound hopeless, but won’t you agree if I say that this world that we live in aren’t really ruled by the good ones? It’s so hard to live right if everyone seems to live in an unrighteous way. Maybe that’s the ultimate challenge for us, humans: to stand out in a tainted world. Going back to the film, the stories mentioned above about the four people intertwined in a way that only the movie’s brilliant writers, Michiko Yamamoto and Erik Matti (also the movie’s director), could only create. Of course, the story also benefited well by its great pacing. The suspense was not always present, but during those “quiet” times, good action was still ongoing. There was no idle moments all throughout the film. Today’s popular actors in the film actually did great. Gerald Anderson was believable as a young prisoner whose naivety and willingness to kill clouded his whole morality. Piolo Pascual embodied a character whose conscience and barely dirty hands could not afford to give up his principles in spite of familial ties. They were great, but it was the veterans Joel Torre, Leo Martinez and Joey Marquez who stood out in the film. Torre was able to turn himself into a ruthless killer-prisoner, Martinez was really irritating as the evil general while Marquez was flawless as the policeman whose integrity would make other policemen hide in shame. Brace yourself, many praises about the film are still to come. The shots, have you noted how they were shot? They were meticulously made in order to tell the story well. Watch out for each scene as many of them hold clues as to what’s going to happen next. Erik Matti is such a great director that he’s able to bring to life a complicated story line about the nation, its government and its people. In addition, the cinematography made the whole film seem so authentic and real. Finally, the songs. Oh you’d just feel them at heart once they start playing. Most memorable for me was Dong Abay’s Mateo Singko. The said song was very apt for the whole concept of the film.